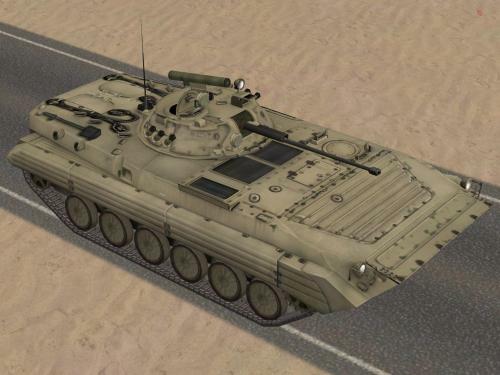 This BMP-2 skin repesents as close as I can get to the current color scheme used by the Syrian Republican Guard as part of the Rif Dimashq offensive. 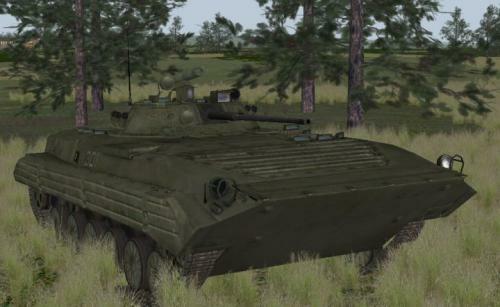 A three color repaint of the BMP-2 to match the version 3.002 T-80U and T-90S, this pack includes my original "light" tri-color skin for those using an earlier version, or who prefer the lighter scheme. The new pattern replicates a more "factory" style paint job, and the skins are updated with photo masked road wheels, new vision block and sight glass, additional rust and mud spatter, and other minor modifications. Both versions are presented with and without anti-radiation cladding. Winter skins are included, with added canvas intake covers ala dp Abrams. 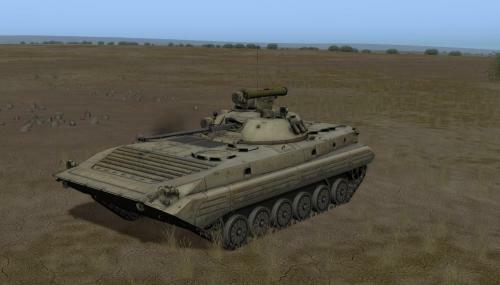 All told, this pack contains eight vehicle, and seven decal textures: one set blank, one with semi-fictional "Guards" markings, two sets of general purpose 1980's/90's era Russo-Soviet markings, two set of Russian Federation markings, and a Ukrainian set. These skins are backward compatible to version 2.640 and forward compatible to 4.000). The Finnish BMP-2 in summer and winter camo (frosty and snowy). Finnish decal file included. road wheels.Some mapping issues have also been corrected. and track file seen in the screenshots. 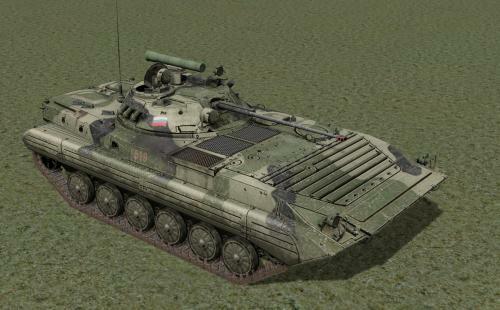 Hi resolution BMP-2 tri-color pattern; includes track and missile files. sight glass, intake air filter, engine grills, new missle color and the tow cables removed. Simply remove the _woodland from the file extension and place in the woodland texture, or mods/woodland folder. 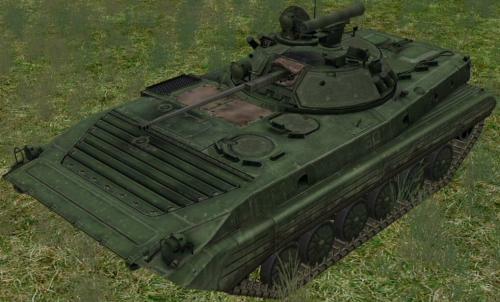 The original BMP-2 texture has sharpened and numerous details added to include, glass, road and drive wheels, new skirts, grate covers, hatches, unit ID and many turret and hull details added. Colored in the more traditional Soviet green. 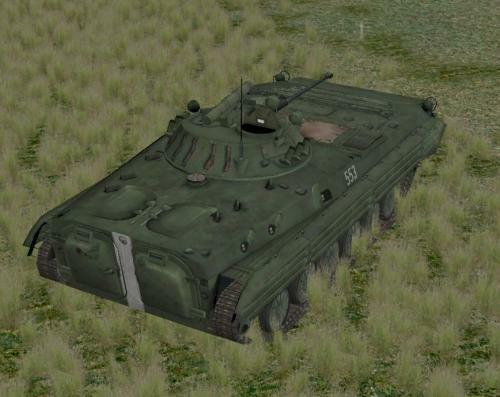 BMP-2 with track and missile tube. Heres one that I offered at our thread some time back, so for those that missed it I'll put it in the d/l section. Most of the credit goes to original skinner, I've just added minor detailing. 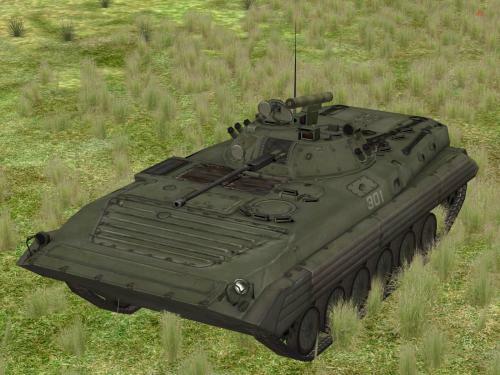 Both bmp and dds files in package plus track file. 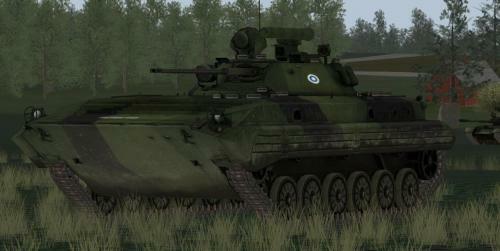 Here is CZ Studios' version 1.3 of the Finnish BMP-2 IFV! 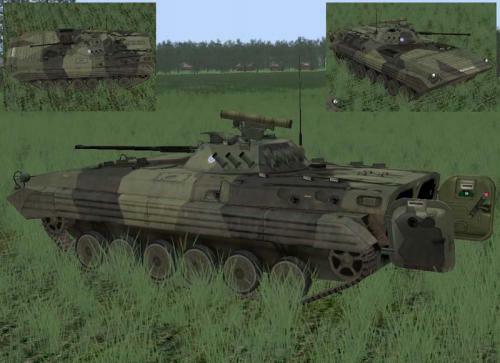 Again, 3 skins: -Fin with rondels, regs -Nomarkings without any finnish stuff -opfor, fin markings + lion of parola and yellow plates Track and missile launcher included in the pack... 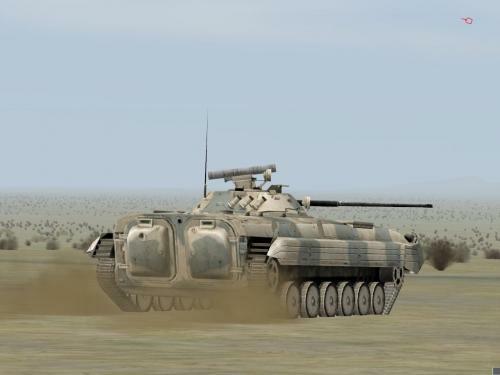 Note: the track-file is newer than the one in the BMP-1 pack! Skins by Congo and Zipuli Enjoy! This is my first Skin, hope you enjoy it. 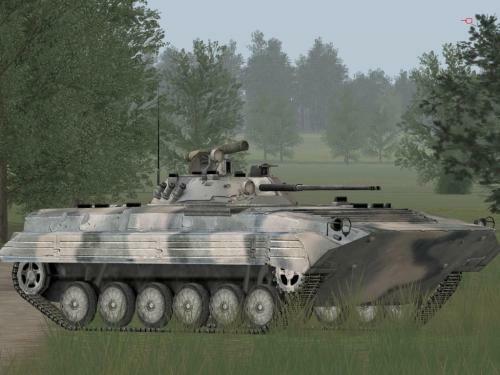 BMP 2 of the NVA (East German Army), with tactical Number and some other nice Add On''s. 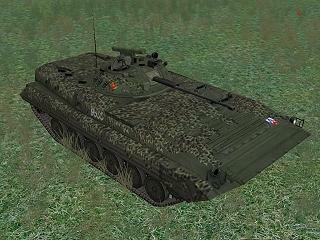 Some Details are from the great BMP 2 Skin, who where made by Zipuli & Congo.